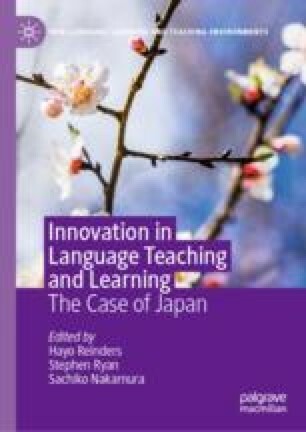 This chapter deals with CLIL (Content and Language Integrated Learning) in Japan, focusing on maths CLIL at a primary school. It begins with the theoretical discussion on CLIL and the overview of its implementation in Japan. The chapter then describes the innovative maths CLIL programme at an independent primary school and analyzes an actual CLIL lesson in comparison with a PPP (Presentation–Practice–Production) class conducted by the same teacher. Based on lesson observations and teacher interviews, the chapter argues that CLIL does not only offer an enriched language learning environment, but broadens the scope of language education by engaging students in content-rich and cognitively demanding tasks, which helps learners develop their general purpose competences. European Communities. (2007). Key competences for lifelong learning: European reference framework. Retrieved from https://www.erasmusplus.org.uk/file/272/download. National Institute for Educational Policy Research. (2015). Summary of report 1: Study on the curriculum to develop competencies—Nurturing competencies for the 21st century. Retrieved from http://www.nier.go.jp/English/research/2016/pdf/Report+1.pdf. Organisation for Economic Cooperation and Development. (2005). The definition and selection of key competences: Executive summaries. Retrieved from http://www.oecd.org/pisa/35070367.pdf. Partnership for 21st Century Learning. (2015). P21 Framework definitions. Retrieved from http://www.p21.org/storage/documents/docs/P21_Framework_Definitions_New_Logo_2015.pdf.